Roadsides, fencerows, borders of forests, locally well established. First collected in 1939 in Kalamazoo Co. Another Eurasian species, grown for both flowers (including double-flowered forms) and fruit. Unlike the sweet cherry, this one suckers freely from the roots and is often more of a large shrub. MICHIGAN FLORA ONLINE. A. A. Reznicek, E. G. Voss, & B. S. Walters. February 2011. University of Michigan. Web. 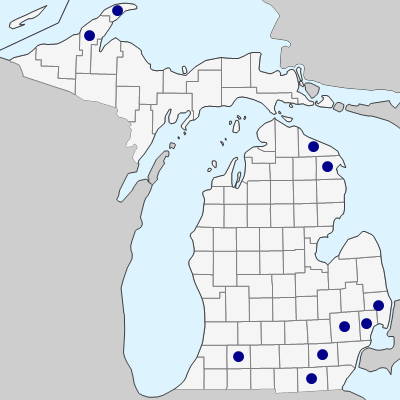 April 21, 2019. https://michiganflora.net/species.aspx?id=2520.